The word Yoga means “union” in Sanskrit, the language of ancient India where yoga originated. We can think of the union occurring between the mind, body and spirit. What is commonly referred to as “yoga” can be more accurately described by the Sanskrit word “asana”, which refers to the practice of physical postures or poses. Our Hatha yoga classes always include the learning of physical poses and also include forms of breathing technique and meditation technique. Our classes are a blend of movements that encourage strength, balance and relaxation, and offer tremendous health benefits for participants. We prefer our classes small in number (no more than 10 participants at any one time), which allows for greater personalized attention. Because of our greater personalized attention – whether you are new to yoga or have been practicing for many years – our All-Levels Class will allow you to achieve your best results. We offer regularly scheduled group classes and also offer the option of one-on one instruction when there is an individual need for attention. Call or e-mail us to learn more about this option, or to reserve your space for our group classes. Check back frequently as we continue to offer additional classes. See our EVENTS page for details and calendar on all classes and workshops! Mary Ann is a registered member of the Yoga Alliance 500 hours, and is a Chopra Certified Instructor. She has been studying yoga for over 25 years, and began teaching in 2000. She received trainings from The American Yoga Academy 300 hour, Mary Barnes (Pre-Natal) Yoga for Two, Sarah Tomlinson (the Ancient Ayurveda Yoga Series at The Yoga – Ayurveda Institute), Sue Dumais Yoga for Fertility, and The Seven Spiritual Laws of Yoga from the Chopra Center of wellbeing in 2004. 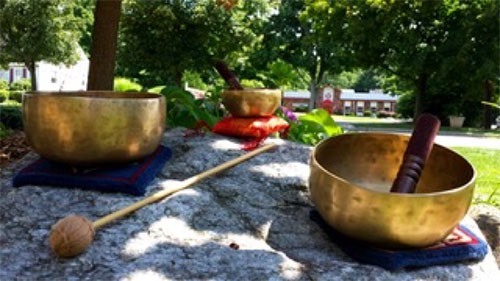 Chopra Center Journey into Healing, An Ayurvedic immersion. Her deep respect for yoga comes in part from her experience working in hematology and open-heart surgery as a Medical Technologist at Hackensack Medical Center where she witnessed first hand the powerful connection between mind and body in the healing process. Her classes are a blend of movements that encourage strength, balance and relaxation. Mary Ann’s love of nature is her true inspiration. Her Tuesday classes are now available right here at the Vista Natural Wellness Center! 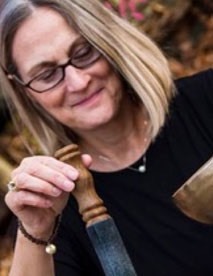 Michelle uses her 25 year career as a Montessori Teacher and 200RYT training with The American Yoga Academy to guide her students and clients into a journey of health and wellness. With a passion for education coupled with a warm and loving essence, her classes nourish the body, mind and spirit giving true meaning to the union through yoga. Michelle received her Fitness Business Certification from Rutgers University in early 2016. 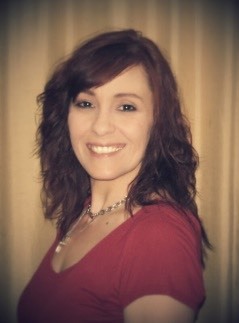 She has Reiki I and II Certifications, and has training in Kundalini Children’s Yoga, Yoga Nidra, and Pre-natal Yoga. She also holds a Certification in Mindfulness for Well-being and Peak Performance. She is currently pursuing a 500RYT by continuing her studies with world renowned International Yoga Therapist, health & wellness expert Claire Diab. Her weekly Wednesday evening yoga classes and her every other Saturday morning mediation classes are available right here at the Vista Natural Wellness Center starting late September 2016! Come see how increasing your flexibility with Yoga can help you today!